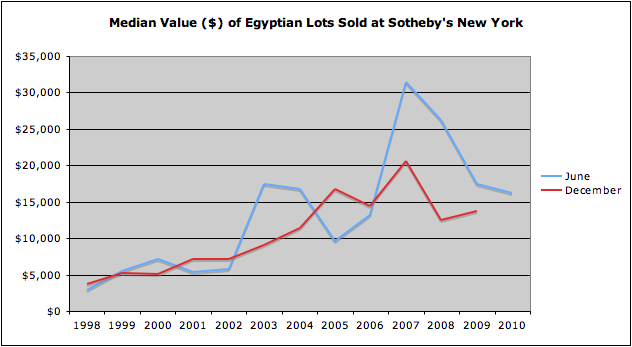 I have been plotting the sale of Egyptian antiquities at Sotheby's (see December 2009). 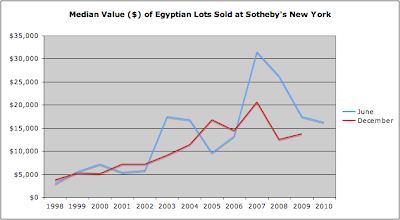 Egyptian antiquities in the June 2010 sale fetched $658,500. The median value was $16,250. This is comparable with 2004. Analysis © David Gill, 2010.